People with Asperger's Syndrome have difficulty with interpersonal relationships, yet are well known to be loyal and dependable friends. 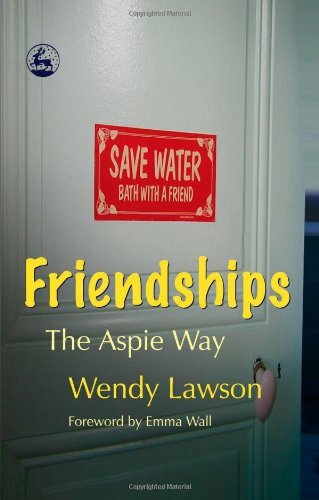 Wendy Lawson felt she had a knack for upsetting people and was surprised to be told that she 'did friendship rather well'. In her frank and thoughtful analysis of what makes and breaks friendships, she explores what it means to have friends or be a friend - even a friend to oneself; what happens when times are tough and friends are scarce; whether one can be a 'good friend' without effort; and what other kinds of friendships there are, whether imaginary, animal or inanimate. These ideas are accompanied by practical examples, poetry and stories.